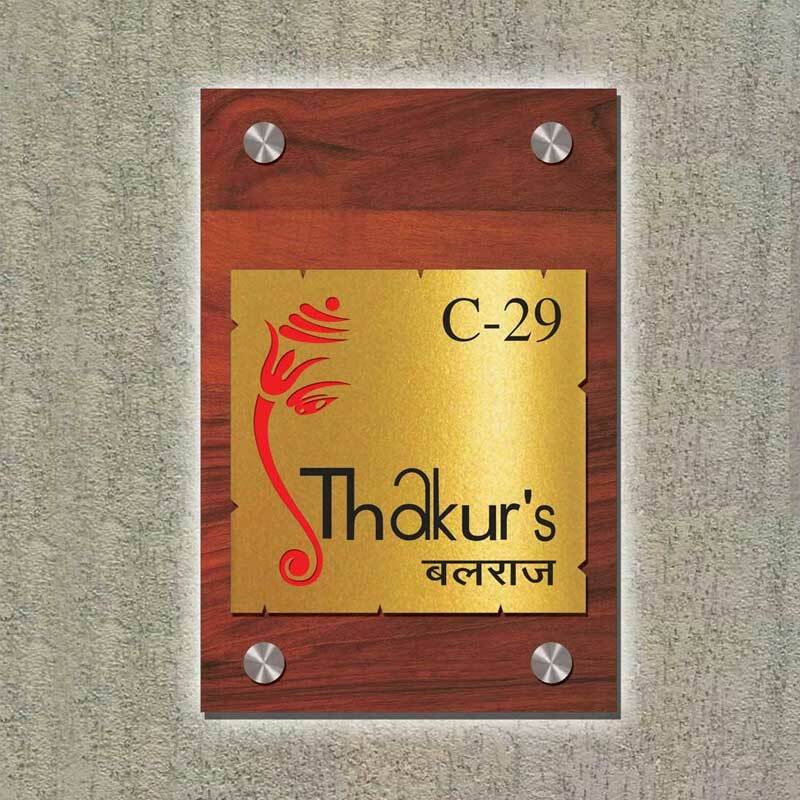 Product dimensions: length 8" x height 12" x width 0.4"
SANGAM AD Personalized Acrylic Customised Nameplate made of High Quality Product For Home Décor. A name plate identifies and displays a person or family staying inside the house. . SANGAM AD brings you a huge range of beautiful name plates designed & crafted by expert artisians from SANGAM AD. The above name plate is 100% customizable & limited to the words mentioned, You can get your own name engraved & enjoy the beauty outside your flats.